Microsoft fires up its business model and makes way to reach out to a larger group of professionals with the acquisition of popular professional networking site LinkedIn. 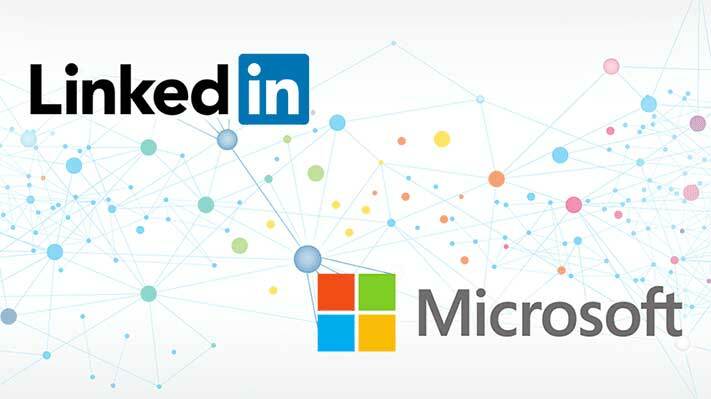 Post the acquisition, Microsoft can always turn LinkedIn into a platform that has properly built APIs and then get the professional developers together from across the world with the help of the LinkedIn network to create and maintain the LinkedIn API. Corporate buyers would be more than happy to invest in apps that can do the core functions of sales prospecting, managing marketing campaigns, ESAT surveys, tracking employee movements etc. without really investing in expensive and high end software like SalesForce that Oracle provides for sales boost as well as prospecting. In fact, with almost all of the professionals on LinkedIn, the developments that can result out of this merger can even lead into a more robust and user friendly HR system, one that functions like a mobile app and is even better than the system that SAP (Systems, Applications, Products in Data Processing) has to offer. With the news of this acquisition, analysts across the globe are busy speculating the future of big players like Google and Facebook and as it turns out, while Google may be the one to be the least affected, Facebook CEO Mark Zuckerberg may just have to drop the plans of giving Facebook a professional edge. The threat however looms large for SAP, Oracle and Salesforce as this merger and the world of possibilities it may open up may act as a big hindrance for these big players when reaching out to businesses with sales prospects. If Microsoft is really able to strike it out well, CIOs will be more than eager to see the possibilities that these new systems have to offer. Maybe something like having appointment calendars and emails on outlook filled automatically with the complete professional profile of the person with whom a meeting has been scheduled. Such revolutionary ideas can hugely benefit start up CEOs and surely will be lapped up by industries. Users would also wait to see if LinkedIn messaging will turn out to be a more efficient plug-in than Slack. While users across the world have been busy excitedly tracking the numbers of Google, Facebook and Twitter, LinkedIn has come up in a big way with a strong base of over 400 million users. This acquisition will open a world of possibilities for the users and will benefit both Microsoft and LinkedIn in big way.